When it comes to what kind of food to serve at a wedding taking place in the fall, there are so many wonderful options available, that you are sure to find the perfect fall flavors to fit your big day. 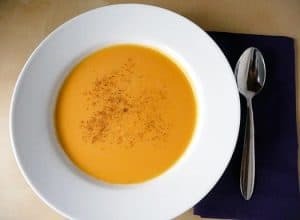 Whether you want to incorporate fall flavors into the entire meal, or just one course, you will have no problem creating crowd pleasing dishes that beautifully display the essence of fall. Some couples choose to serve appetizers during cocktail hour, whereas others simply have soup or salad served prior to the main course. The wedding cake is usually the star of the show when it comes to wedding food, but when choosing a fall flavor pallet for your dessert course, you may end up trading the cake for some fun fall desserts! 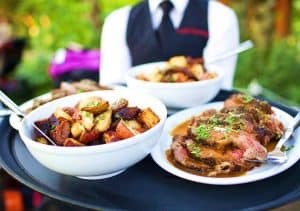 If working with a caterer, they may already have a fall menu for you to select various dishes for every course of the meal. Otherwise, most caterers are happy to work with couples to create a personalized menu to fit the general theme of the day. Check with your local catering companies for more information on fall themed menu offerings or special creations, as pricing will vary. 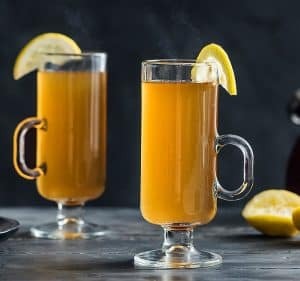 If you are doing your own catering, or hosting a pot-luck style meal, there are plenty of fall flavored dishes to make, or to suggest for guests to bring. 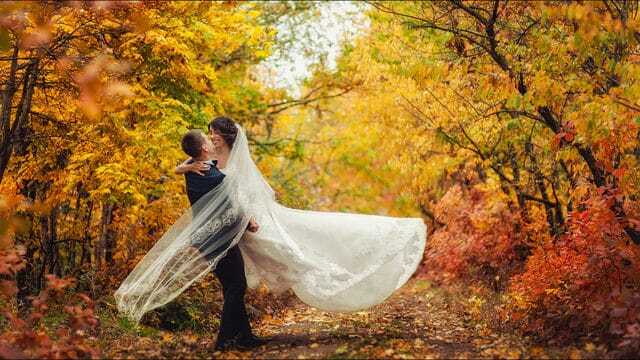 Although traditionally it is considered bad luck to cater your own wedding, it has become a popular choice for couples looking to minimize their budget, or for couples that love cooking. Feeling a bit superstitious, but still want to save money? Having friends and family pitch in with the cooking, can be a great way to save money, without worrying about ‘bad luck’. Some classic fall flavors, and food items, include; various types of squash, pumpkin, apple, peach, eggplant, corn, and sweet potatoes. 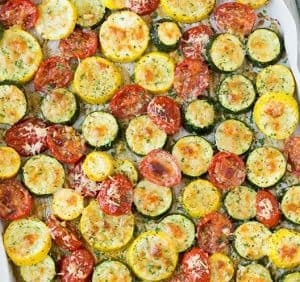 These options can be used in a variety of appetizers, salads, soups, main courses, desserts, and even drinks! With the weather starting to become cooler in the fall, soups are a traditional fall choice for the start of the meal. 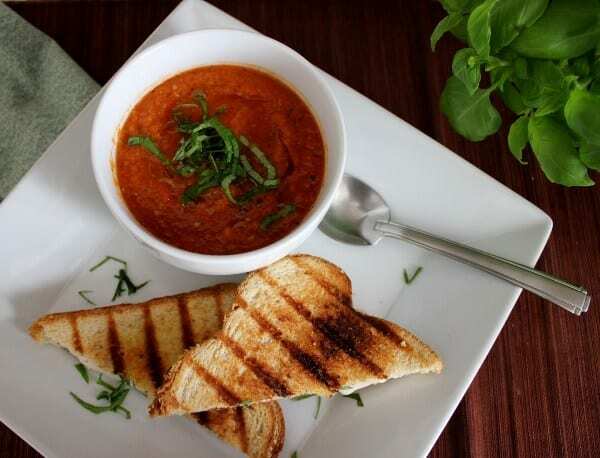 Butternut squash bisque, French onion, and tomato soup served with grilled cheese triangles, are all great choices for a starter course. Not a soup lover? There are also many fall flavored salad options! 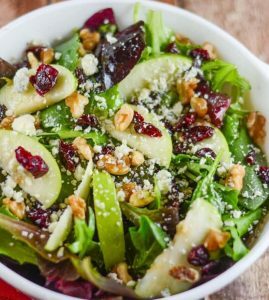 Apple cranberry walnut, chicken and apple, roasted carrot and beet, and roasted pumpkin and peach, are all perfect variations of fall flavors for salads. These flavors can be carried over into the main course and dessert. 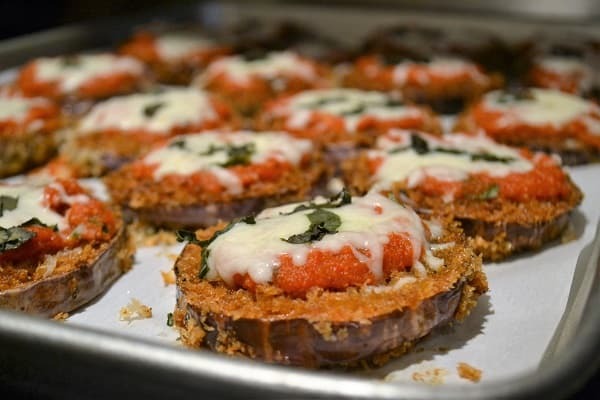 Some main courses with fall flavors include; butternut squash ravioli or risotto, eggplant parmesan, shepherd’s pie, pork chops with apples or apple sauce, roasted chicken, or various types of chili. Feeling super festive? Consider a Thanksgiving style meal with turkey, potatoes, stuffing, cranberry sauce, and all the other traditional accoutrement. 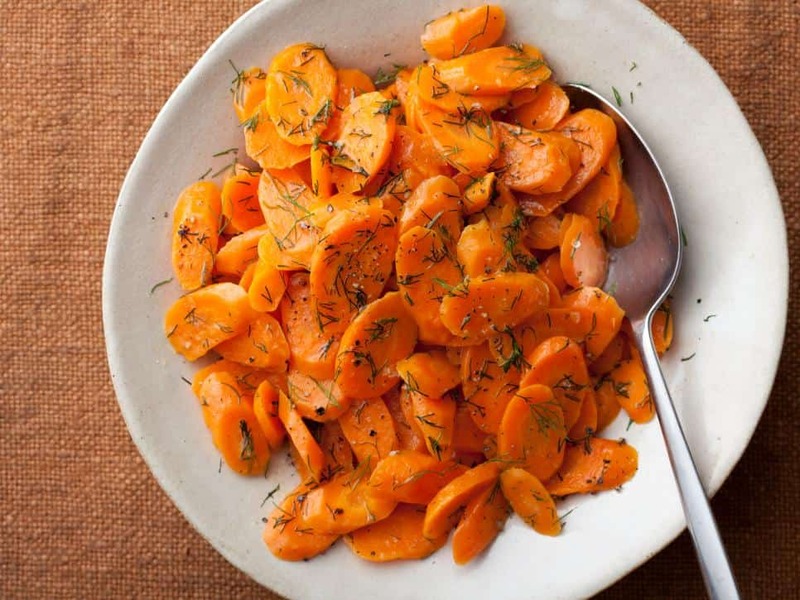 Corn on the cob, zucchini and squash, rainbow carrots, Brussels sprouts, beets, and leeks, are all great items to incorporate into fall themed side dishes. For dessert, consider swapping out the traditional wedding cake for a wedding pie! 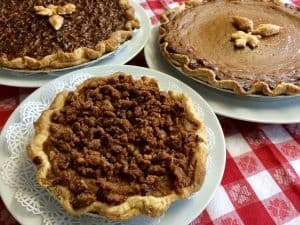 Nothing says ‘fall’ like pumpkin, pecan, or apple pie. Want to try something even more unconventional? 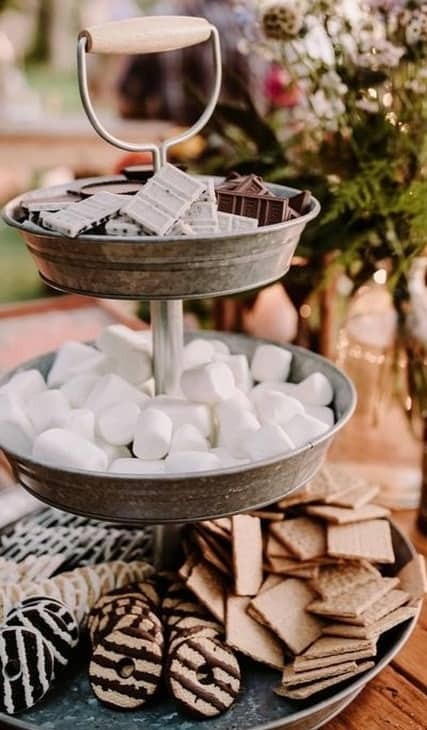 Having a S’mores bar, for guests to enjoy for the dessert course, can be a great alternative for couples who are not big fans of cake, or simply want to try something a bit different. Pair fall flavored desserts with hot apple cider, hot chocolate, or even hot toddy’s, to really bring in the feel of the season! When it comes to the flavors of fall, the options are pretty extensive, so even picky eaters will be able to find something to enjoy! 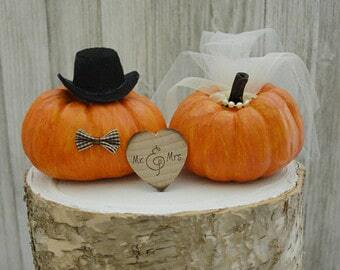 When planning your fall wedding meal, don’t forget about serving items. Chafers, serving bowls, serving spoons, and tongs, are all items you may need in order to serve your meal. If using a caterer, be sure to verify the items they will supply and the items you will need to provide. For all of your serving item needs, and any other wedding rental items, be sure to contact Front Range Event Rental today for a quote! 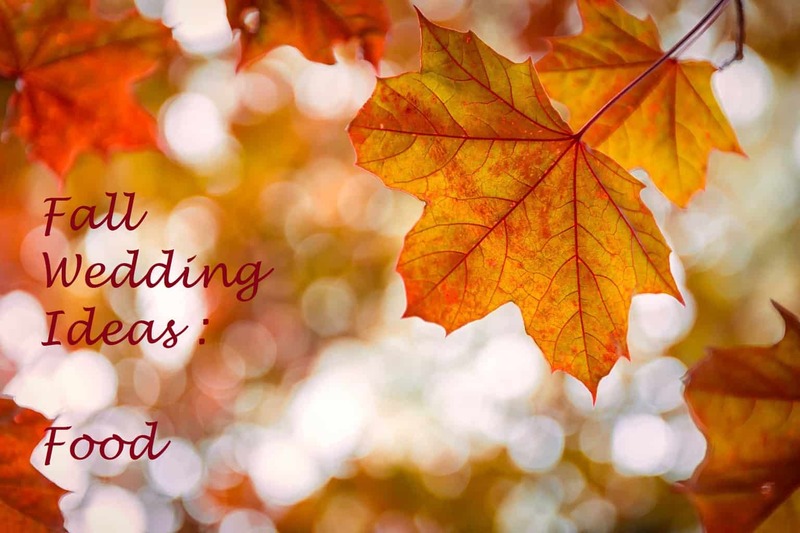 Thanks for reading, and happy fall wedding planning!